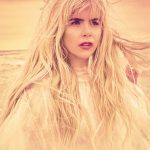 An epic line up of music legends has been added to the special 10th birthday bash of Splendour, with The Charlatans joining headliner Paloma Faith on the Main Stage and The Stranglers headlining the Confetti Stage at the all-day summer music festival at Wollaton Park, Nottingham on Saturday 21 July. Sign up to the mailing list to be the first to hear about Splendour 2018 tickets and artist announcements: www.splendourfestival.com/mailing-list. To stay in touch with festival news like ‘@splendourfestivalUK’ on Facebook and follow on Twitter and Instagram ‘@SplendourFest’, using the hashtag #SplendourFest.